Access to the Information Society requires the availability of high-level education content employing state-of-the-art learning methodologies. Ionian University and its members are actively involved in this process, enabling the dissipation of knowledge. 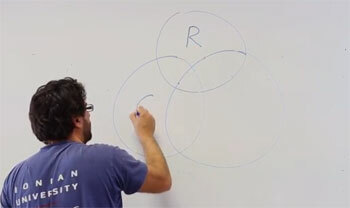 This section collects all the Massive Open Online Courses produced by Ionian University members. I would like to wish you a pleasant and highly educative experience. Over the last decades, the digital universe provides opportunities for all those with the appropriate digital literacy skills and information know-how capabilities. At the same time poses challenges to those who do not follow the digital "reality". Internet-based distance and online education and training is certainly a vehicle for reaching and assisting specific community groups. The scholarly information and knowledge dissemination potentially can arrive at all and thus enhance creativity, innovation, economic growth and social cohesion. At an international level, the educational processes of all levels are constantly enriched through internet technologies. 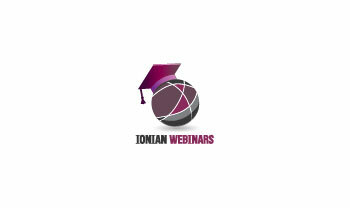 The innovative group called “Ionian Webinars” was developed by faculty members and researchers of the Ionian University and provides a comprehensive service of synchronous and asynchronous online seminars. Modern teleconferencing software is used for the interaction between the instructors and learners, as well as software for virtual courses and learning spaces which include additional material, videos, educational calendars, exercises, and discussion groups. We aim at developing online Webinars and open courses on subjects related to the Information Science, and in particularly Information Services Management. Information and information services relates to all aspects of human activity and we believe that the development of appropriate online tools, distance education methodologies and good practices can contribute significantly in all economic sectors (e.g., agriculture sector, tourism, health services, creative industries, etc.) and social roles (e.g., parent, citizen, musician, etc.). We hope that our online seminars and digital education space(s) will eventually contribute in reducing inequalities and increasing the socioeconomic opportunities of specific or wider groups of the population. We will further strive to develop high quality of online services in order to satisfy their information and educational expressed and implied needs.